Today, I have another restaurant review from my visit to the Florida Keys. If you LIVE in the Florida Keys or you are on Vacation in the Florida Keys, I have a great restaurant for you to visit. The Florida Keys are a string of tropical islands……and they stretch about 120 miles off the southern tip of Florida, between the Atlantic Ocean and Gulf of Mexico. There are literally over a THOUSAND islands in the Keys. This was my 1st visit to the Keys, so…… I am NOT an authority by any means, on the Florida Keys! What I am good at……is finding you Restaurants with Healthy Options during YOUR trip to the Keys! To give you a perspective……..Key Largo is located in the “Upper Keys,” which is the Northern part of The Keys, and is located South of Miami. Key West is located in the “Lower Keys”…….the Southern most part of the Keys. Christy & Allison know I’m LIVING a Healthy Lifestyle, so they took me to….. the “FL Keys Steak & Lobster House,” which is located at 3660 Overseas Hwy, Marathon, FL 33050. The atmosphere inside the restaurant is cozy & clean, with fresh, white linen tablecloths & scenes of stained glass fish on the walls. I love that the tables are not squished up against each other too! I had plenty of room to eat and I was able to have a conversation with my guests…..without SCREAMING! I HATE sitting at a table in a restaurant & I can’t even have a conversation with my guests without screaming at the top of my lungs! Nice atmosphere at FL Keys Steak & Lobster House! Our WAITER was named Jason, and Jason was an excellent waiter. The kind of waiter, when you tell him ONCE what you are drinking and he comes back with another glass at exactly the right time! Jason was also great at recommending items from the menu based on my “LIVING a Healthy Lifestyle” criteria. Thank you Jason for obviously liking your job and taking care of me and my guests that night! They have a full-line list of adult beverages with beer, wine and specialty drinks. I found the Gluten-Free “Redbridge Beer” interesting, and they have non-alcoholic O’Douls Beer as well. They serve unsweetened ice tea as well as bottled & sparkling water. The appetizers are abundant and tempting. You have to ALWAYS remember you are eating healthy, which means eating REAL Food……the Weight Loss Nation motto is…. Don’t think hard about this and definitely don’t try and manipulate what the motto means. The motto does NOT mean eating Fried Food. Shrimp that has a bread batter and then deep fried in vegetable oil….is NOT…..Healthy Eating or Eating Real Food. Healthy Eating an option from the menu like this …….Chunks of fresh lobster marinated with lemon juice, oranges, cilantro, onions and cucumber…..This Healthy Eating option is called Lobster Ceviche. For $15.95, you get FRESH and I mean FRESH…. Lobster with healthy fruits and veggies, that come together beautifully! Also on the Appetizer list…… is my NEW FAVORITE SHRIMP! Which is PINK, Wild Caught Gulf Shrimp Cocktail! For $15.95, you’ll get FOUR HUGE….SWEET…. Pink Gulf Shrimp, with a side of cocktail sauce. The Shrimp is soo sweet…..all you really need is a squeeze of lemon on each shrimp….Delicious! There is an absolute Delicious list of healthy salads you could choose from. I would suggest since you’re in the Florida Keys, where fresh fish and shellfish are brought to the FL Keys Steak & Lobster House Daily, that you try not to EAT a SALAD….although delicious….for your main meal! Listen to some of these AWESOME Entrees! First …… All of the seafood is bought fresh DAILY to the Fl Keys Steak & Lobster House Restaurant and prepared to order. You can get the fresh vegetable of the day and a small house salad as your sides. The first Delicious Healthy Menu Option is…..
You get…..Fresh Mahi…shrimp….scallops and….. a crab cake broiled to perfection! I was very tempted to get this entrée….and next time I visit….I will get it…..but I saw Coconut-Macadamian Nut Crusted Snapper on the menu and I flipped! The Coconut Macadamian Crusted Snapper is Pan Fried in olive oil, and a Mango Sauce and then topped with Red Peppers in a butter sauce onto your plate! No hesitation for me…..That’s what I ordered! When I go somewhere that has fresh fish and can properly cook and prepare fish…..I order it! The Snapper filet was white, flaky and the blend of coconut macadamian nut with mango sauce was BEAUTIFUL! The Snapper also comes with 2 sides, which I ordered the grilled vegetables and a small house salad. The Snapper Entree costs $32.95, but I’ll tell you what…….It was the BEST DAMN Snapper I have EVER had! There are other fantastic seafood entrees on the menu too! IF you feel like steak, chops or ribs…..they have wonderful entrees on the menu for you too. They pretty much cater to everyone at FL Keys Steak & Lobster Restaurant. They even have a kid’s menu! They also have Free Raised Veal & Poultry entrees and they have Vegetarian entrees too! Which is Served with mixed greens, walnuts & raisins covered with a spicy dressing. The Healthy options on this menu is ABUNDANT Nation! a HUGE 3 WLN Avocado’s! That’s right….Great ambiance, wait staff…..AND food! Well done FL Keys Steak & Lobster Restaurant! So…..don’t miss out on this RESTAURANT! One of MY Absolute Favorite Restaurants in FLORIDA! WLN REVIEW of the WEEK! 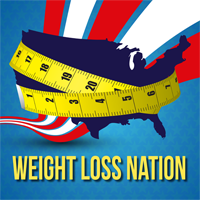 Go to Apple Podcasts….formerly known as iTunes and leave a rating & review for WLN…..for a chance to win weekly prizes. Just write a short review on the contact page form. Each Friday, I’ll pick a review from all reviews received that week and I’ll announce the most unique review of the week. That person will be given a “Thank You” gift for leaving such a wonderful WLN REVIEW! Make sure to leave me your email address or phone number so we can send you your Thank you gift! You will receive Weekly “For YOUR Eyes Only” Snip its….delivered to Email subscribers ONLY……each week. We have Healthy Recipes, “FB Live” Classes, Diane’s Recommended Food Coupons and MORE…..
to get in on Secret Sauce! NOW…..it’s time for the WLN Review of the WEEK! This week I want to Thank Tracy G for her Review ……Tracy says….. Thank YOU Tracy for your review of WLN. I REALLY appreciate you taking the time to write the review! I have a copy of Sara Joy Marsh’s Book – Hunger, Hope and Healing…..just as a Thank You for posting your WLN review! Write a Unique Review of WLN and…. you may hear your name next Tuesday on WLN! Want to Learn MORE about WLN? go to the website…. Www.TheWeightLossNation.com to learn more about ME, the WLN community and how to start living a Long-Term Healthy Lifestyle! You know the adage…..”It takes a village to raise a child.” The concept is the same with weight loss!